Do Italians have a make-it-beautiful gene the rest of us don’t? I’ve been in Italy for 18 years. And I never stop marveling at how pretty it is. And the real head-scratcher is this: how is it that Italians have a knack for creating beauty in a particular way that the rest of us don’t have? How is it that their benign neglect or their very way of simply living creates a beauty that sends Stendhal-Syndrome-sufferers to hospitals and clinics? How is it that someone’s dishtowels, hanging overhead can make my heart ache? Did this person know that that red towel would perfectly complement the deep shade of the alley and the sage green of the adjacent wall? Oh, the rest of us can design stuff. We can make it hip and chic and modern and cool. We can make clothes and living spaces adhere to the latest graphic, fashion and architectural trends. We can arrange things—personal shrines, closets or bedside tables—so they look good enough to photograph. We can consult websites and blogs ad infinitum. We can try and try really hard. But will we ever succeed in creating that slightly neglected, found-art quality that almost everything Italian seems to have? Will it feel so…genuine? If I hung my laundry out to dry, would it look so good? Would it be art? 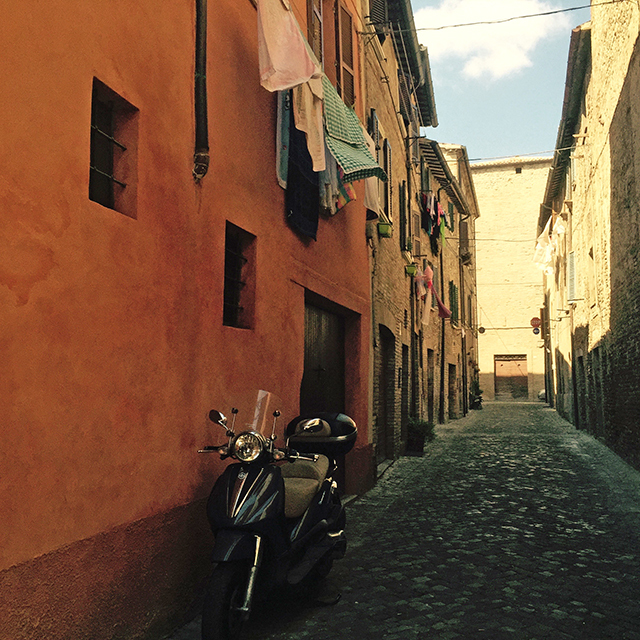 Could I convince my neighbor to park his black scooter under my laundry so that the whole thing would be—oh I don’t know—that much more picturesque? 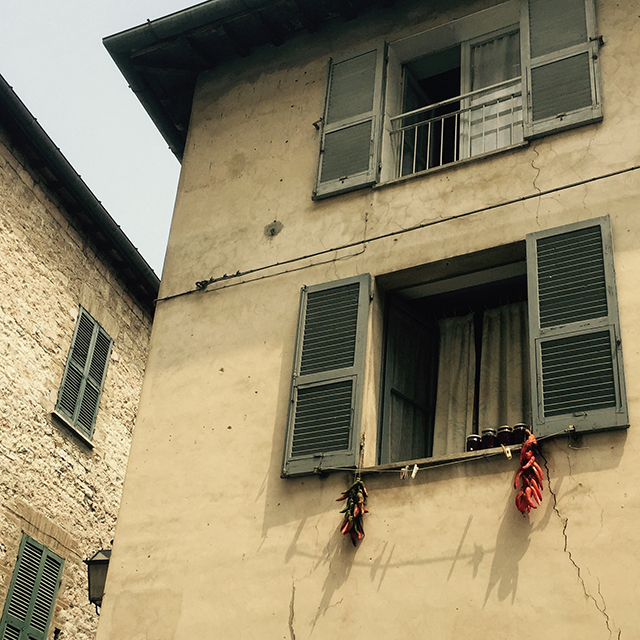 When Italians renovate, they seem to know when to stop. They seem to know when to let the crumbling wall stay in a state of crumble. They seem to realize that water-stained surfaces are more stunning than those of a single, uniform color. Maybe this laissez-faire is born of fiscal necessity (I know it often is). But I also think Italians know in their bones that they live in loveliness, and it is their national duty to allow it to persist. Why else would they laboriously maintain cobbled streets instead of just paving them? 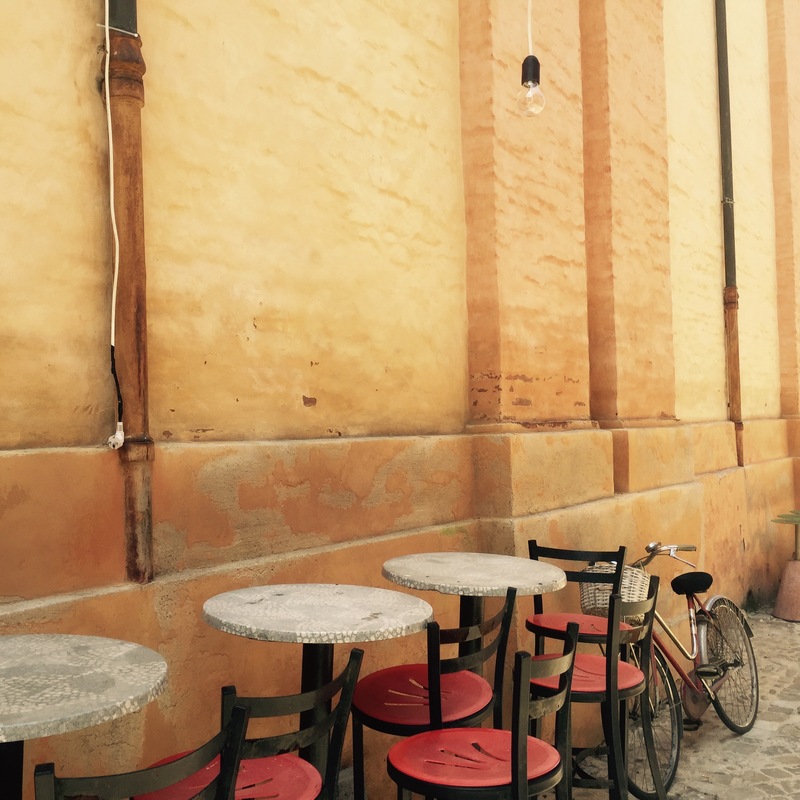 The Italian aesthetic seems to quiver vibrantly between the Japanese aesthetic of wabi sabi (in which beauty resides in imperfection, impermanence and incompleteness) and the Greek ideal of proportion and absolute beauty. Here what was historically beautiful is in a state of lovingly prolonged decline. And what is natural, real, human, useful—those objects that define the everyday—assume their place easily in that mis en scene. Everything breathes. Everything is part of a passage. The fact that, ultimately, none of it will last just adds to the magnificence of it. And Italians contribute to the beauty as easily as breathing. They never try too hard. In fact, they may not try at all. They just make it so. 23 Responses to Do Italians have a make-it-beautiful gene the rest of us don’t? Beautiful photographs, you have such a great eye for detail ~ there is definitely something to be said for the patina of the buildings and the picturesque alleyways. Laundry wouldn’t be the same in almost any other place! It’s funny…I’ve always been drawn to detail. I think it’s because I’m nearsighted. I wish I did great pictures of great sweeping vistas. I try. But they never turn out quite as well. Where are your travels taking you these days? You make me laugh. I’m feeling very wabi sabi myself these days. I love the washing hanging from buildings. Mine on the drying frame could never match it. However, some of the new developments in Italy are far from beautiful. I have seen some very ugly new apartment buildings and houses and some of the modern churches are simply awful. I much prefer the old Italy. Yes, you’re right, some of the modern stuff is awful. But some of it is not. There’s a lot going on in Milan these days that is very exciting in terms of urban planning. They’ve transformed areas I thought were not transformable. 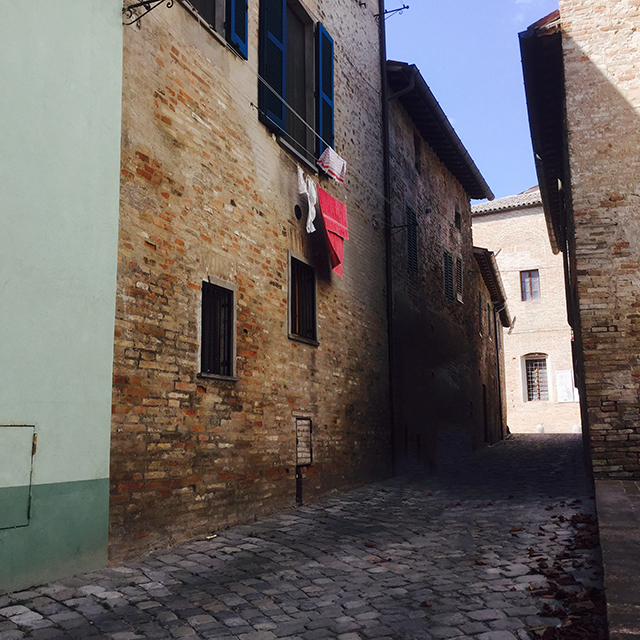 These pics were taken in some old towns in the Marche that don’t seem to have anything modern at all. Just street after narrow street of old. I love how these old towns are not static dead monuments, but living breathing communities. I have seen some of the stunning new developments in Milan and they are exciting and excellent…it is possible. I really like it when old and new mix well. I love seeing your world! 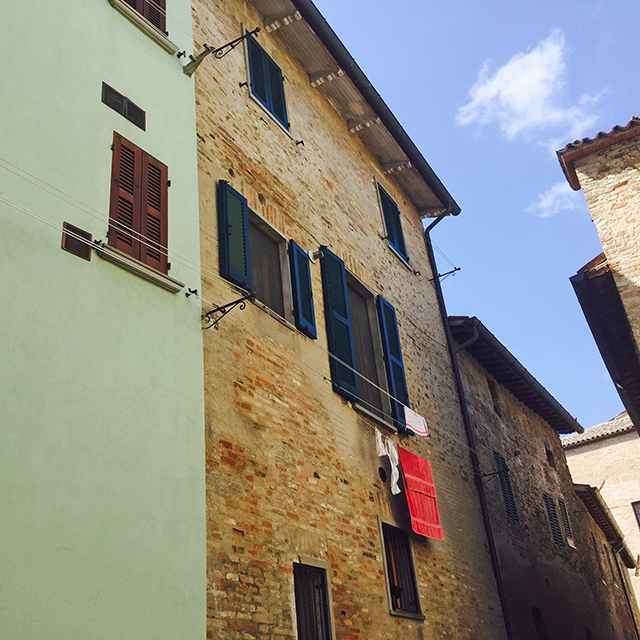 Also, I agree…Italy is the world of art in all its forms. Mine too. It used to be pretty here in France, when we had a big line in the yard and you could properly hang sheets from it. I still remember, as a child, running through sheets drying on the line and loving it. But now I just have this icky little portable thing. It does it’s job, but it doesn’t create quite the right effect! Your yard is beautiful though…ALL THOSE FLOWERS!…I bet your laundry looks better than you think. Maybe no one likes the look of their own laundry. Maybe that’s the problem. Maybe. 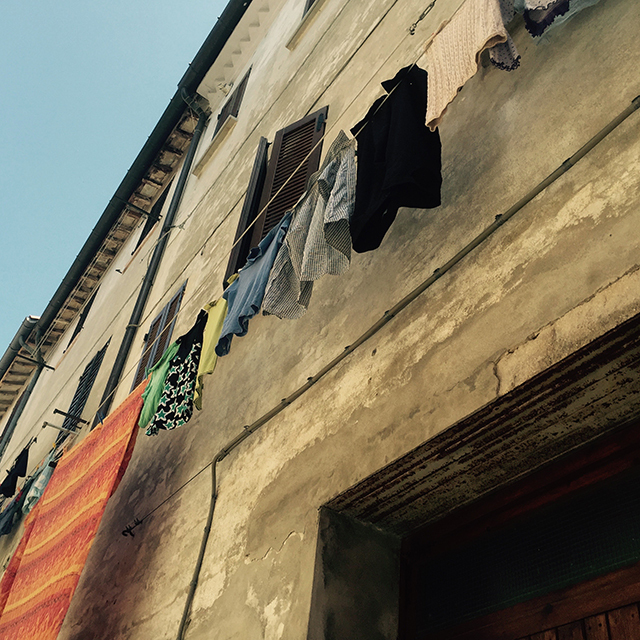 What a fun memory you gave me…I too loved playing under the clothesline full of clothes! Beauty is in the eye of the beholder. You certainly Have a Beauty-Beholder’s Eye! Thank you for these Beauties! You’re quite welcome. If I don’t look for and find the beauty where I am, I don’t feel very good. Just one of those coping techniques! I hang out my clothes and they look nothing like those beautiful photos . I agree the Italians have a certain style that nobody else has. Whoops that reply was supposed to go to Deb. Shoot. Technology before coffee is not a good idea! I got a little “hung up” on the laundry…but it’s just evident in so many things, this style-thing. They have an innate something…at least many many many of them do. 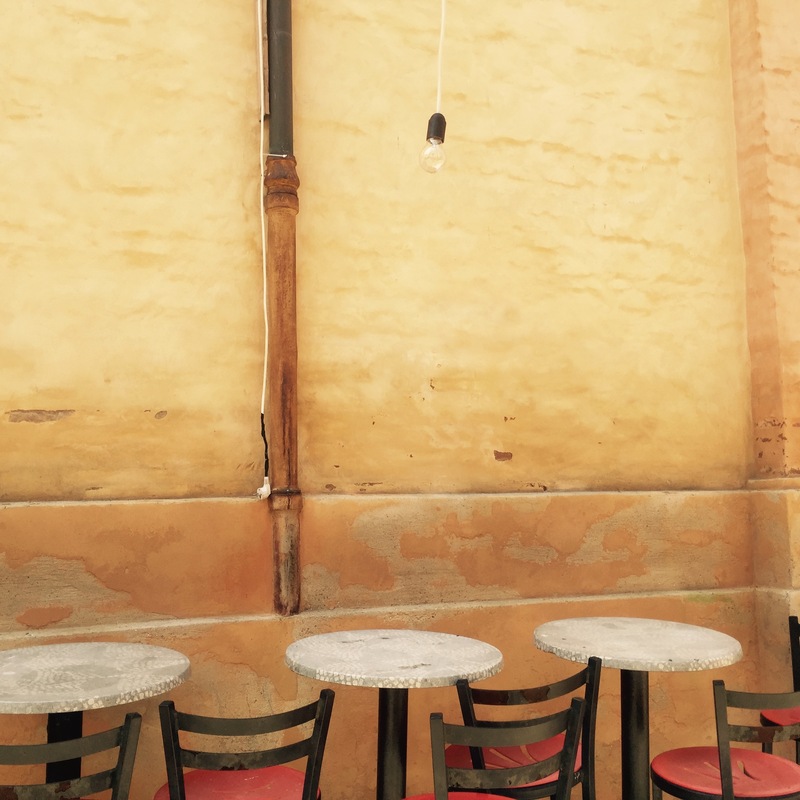 I bet the cup of coffee served at that plain table under the bare bulb is absolutely perfect tho’ . . Methinks we are dealing here with being secure and being comfortable and not caring an iota what some ‘Joe Blow’ from the other side of the world thinks . . . wonderful . . . I think you are absolutely right. What freedom to not care quite so much. I’ve always cared too much and I’d love to shake it off a bit. My laundry is not picturesque either. 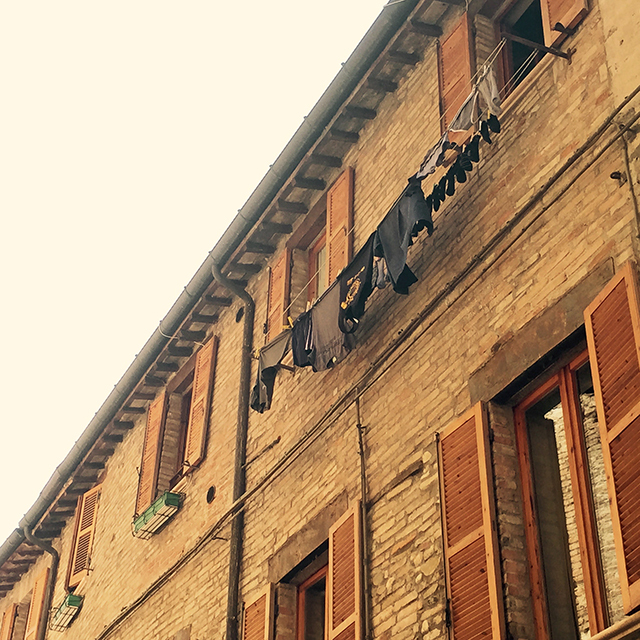 I might be living in Italy, but I’m still a plain old American girl with her laundry stacked on the dryer too.